Free Shipping Included! 602 Frosted Glass Vessel Sink by MR Direct at Wakaf Center. MPN: 602. Hurry! Limited time offer. Offer valid only while supplies last. 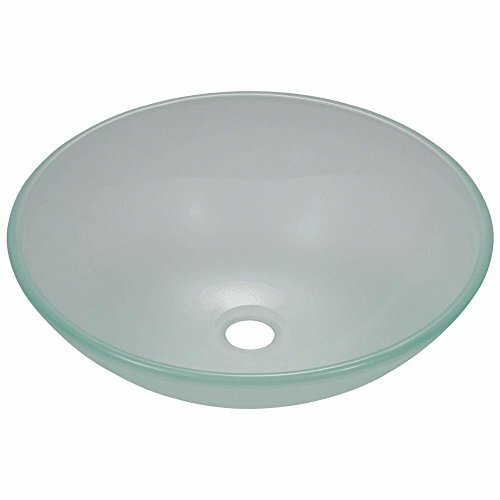 This 1/2'' thick, tempered-glass vessel is circular with an uncolored translucent glass, frosted on its exterior and highly-polished on its interior. This 1/2" thick, tempered-glass vessel is circular with an uncolored translucent glass, frosted on its exterior and highly-polished on its interior. Its non-porous surface is extremely attractive and sanitary - naturally resistant to stains, odors, discoloration, and heat damage. With an overall measurement of 16 1/2" x 16 1/2" x 5 3/4", it will require a minimum-width cabinet of 18". This listing does not include any accessories. GUARANTEED QUALITY - A Lifetime Warranty covers the sink.